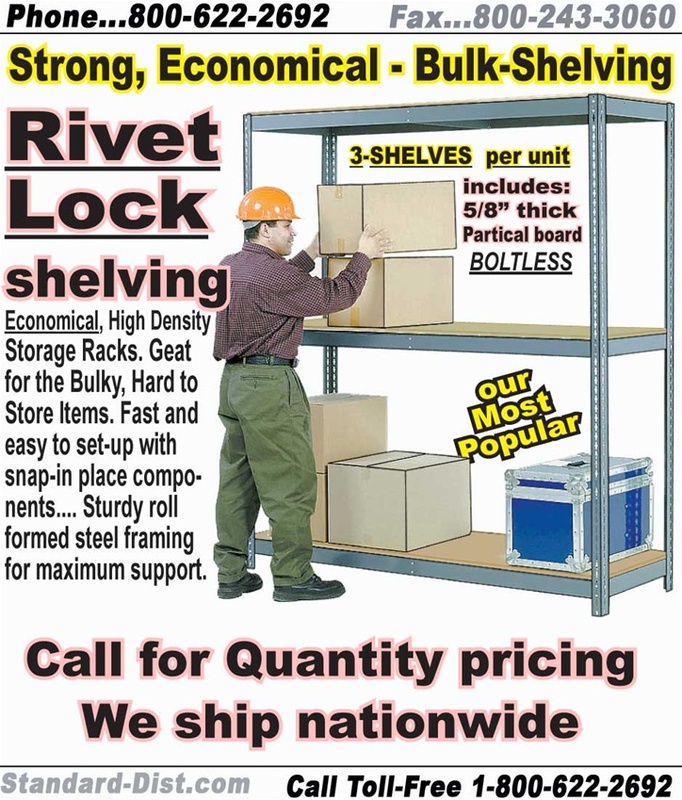 Strong, economical, RIVET-LOCK BULK SHELVING. Very easy to set-up. BULK-RACKS Includes 3-Levels with WOOD-DECKING. Standard COLOR: GRAY. 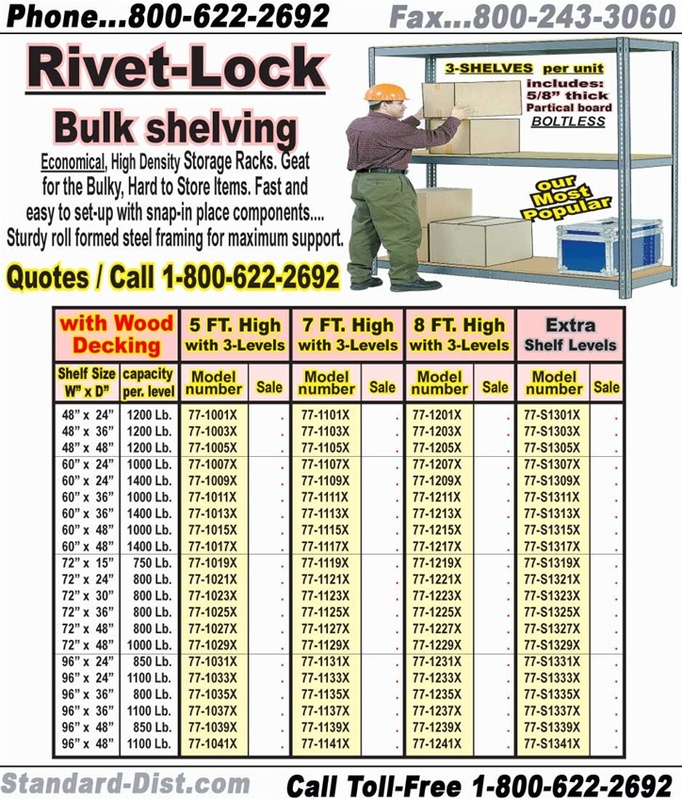 StandardShelving.com is the #1 supplier of warehouse shelving nationwide.